A round-table conversation exploring the ways political economies, cultural influence, and national boundaries affect the individual, their movement, and society at large. The conversation will be moderated by Donna Chirico with panelists Richard Alba, George Andreopoulos, and Peter Vellon. · RICHARD ALBA is distinguished professor at the Graduate Center, CUNY. The seeds of Richard Alba’s interest in ethnicity were sown during his childhood in the Bronx of the 1940s and 1950s and nurtured intellectually at Columbia University, where he received his undergraduate and graduate education, completing his PhD in 1974. He was distinguished professor of sociology at the University at Albany, SUNY, until coming to the Graduate Center in September 2008. He is also on the staff of the Center for Urban Research at the Graduate Center and was its acting director during the 2011–12 school year. · GEORGE ANDREOPOULOS is director of the Center for International Human Rights and Professor of Political Science at John Jay College of Criminal Justice and the Graduate Center, CUNY. He is also founding director of the Center for International Human Rights at John Jay College. Andreopoulos previously taught at Yale University, where he was also founding associate director of the Orville Schell Center for International Human Rights. He has written extensively on international organizations and international humanitarian law issues and has lectured in many universities in the US and abroad. Andreopoulos has participated in human rights missions and has consulted for international organizations and NGOs. · DONNA CHIRICO is dean of Arts and Sciences and professor in psychology at York College, CUNY. 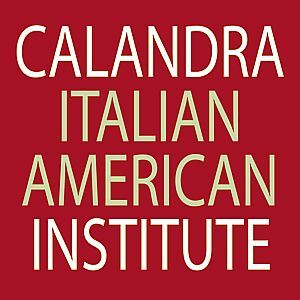 She also is a faculty research consultant at the John D. Calandra Italian American Institute and president of the board for ILICA/USA. Her areas of expertise include the development of transcendent imagination, the influence of ethnicity on identity, and educational attainment among nontraditional college students. · PETER VELLON is the author of A Great Conspiracy Against Our Race (NYU Press), which explores how Italian immigrants, a once undesirable and “swarthy” race, assimilated into dominant white culture through the influential national and radical Italian language press in New York City. He is associate professor of History at Queens College, CUNY.